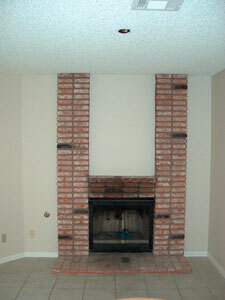 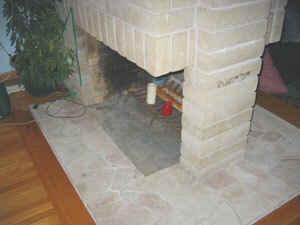 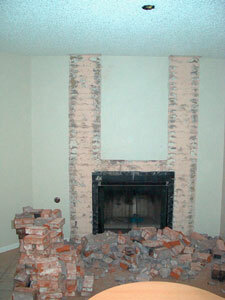 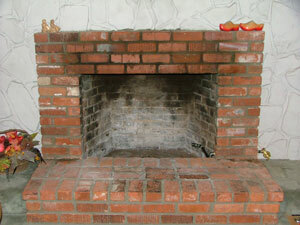 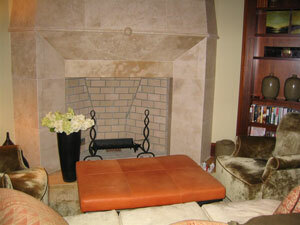 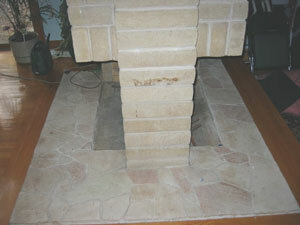 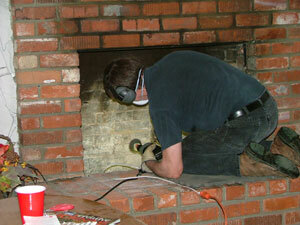 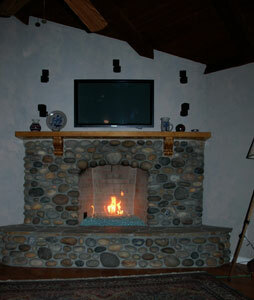 Kentucky Fireplace Remodel. 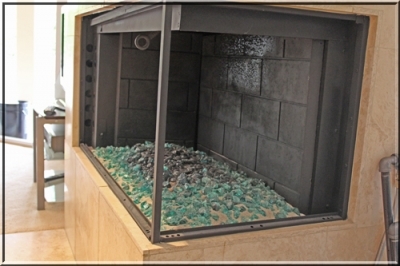 The next fireplace was built by Dave Luerman in Kentucky and you will now see his before and after also using a base of Starfire fireglass. 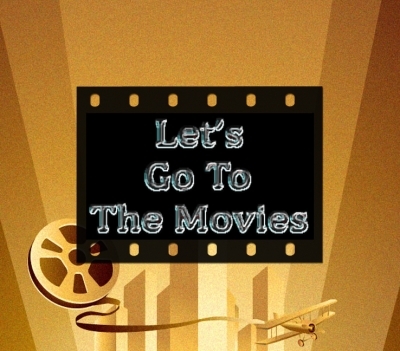 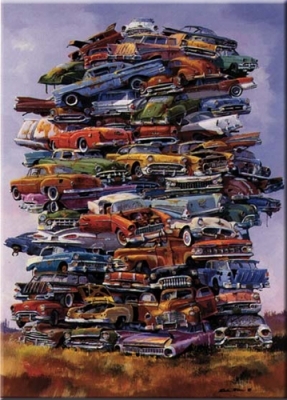 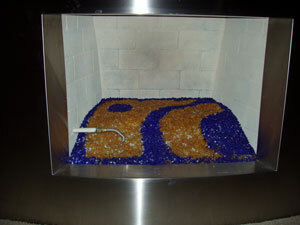 Add Starfire fireglass and your done. 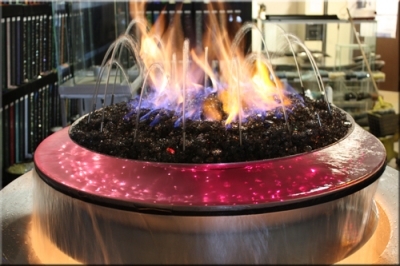 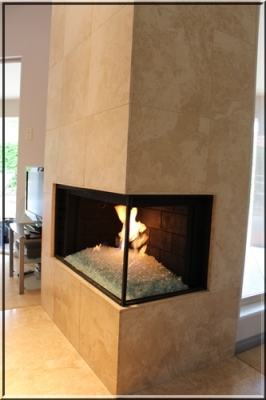 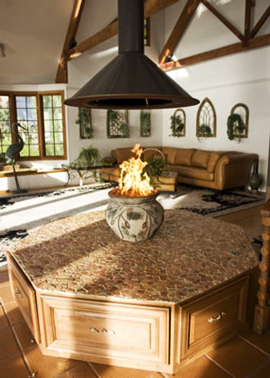 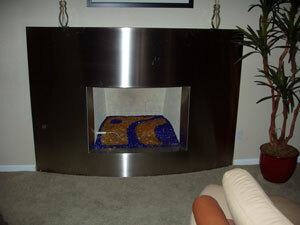 The following pictures of this contemporary fireplace use Starfire fireglass with Deep Royal and Amber fireglass on top. 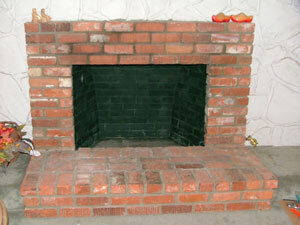 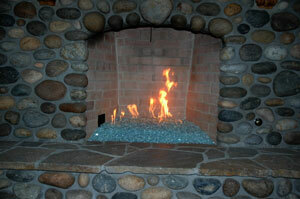 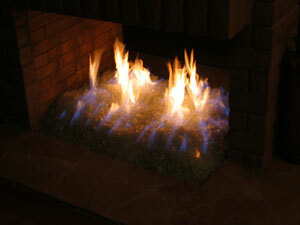 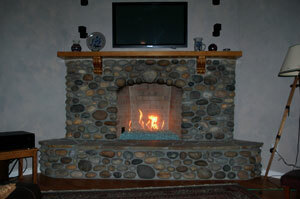 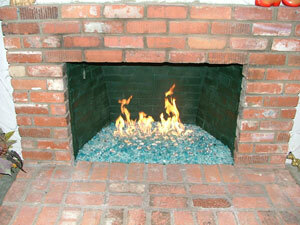 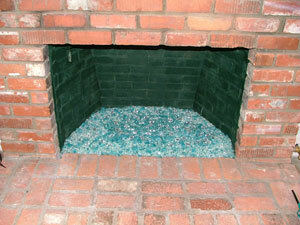 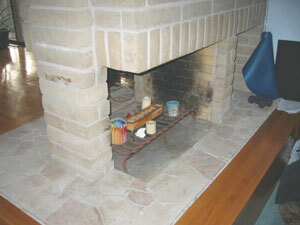 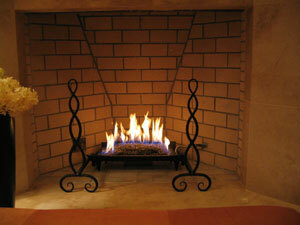 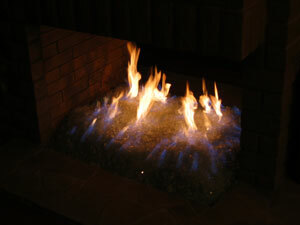 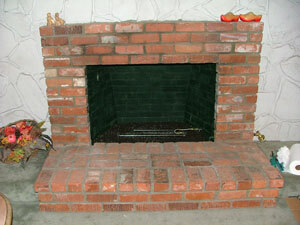 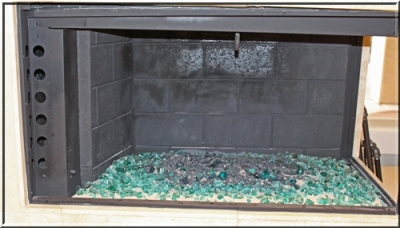 The 4 pictures of this rustic stone-face fireplace has Blue Green fireglass. 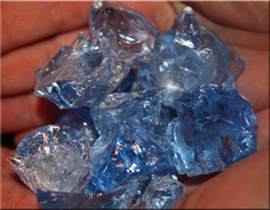 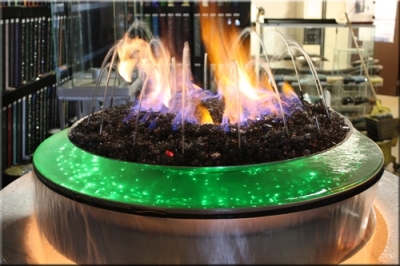 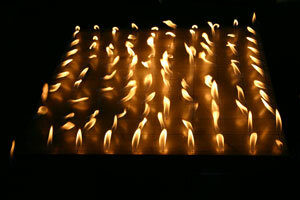 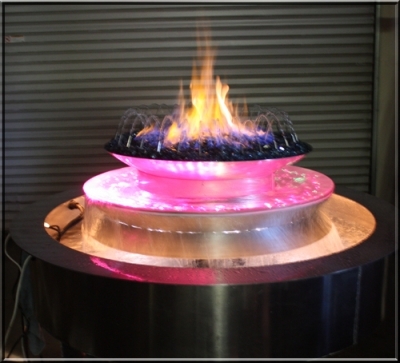 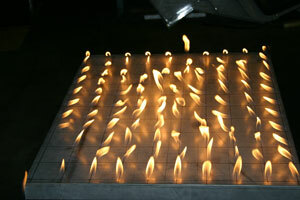 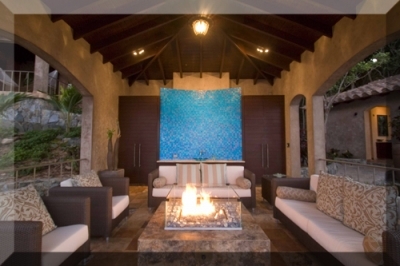 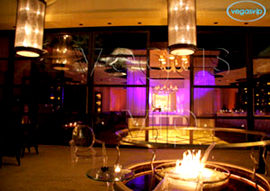 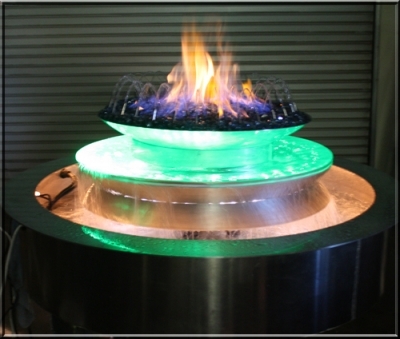 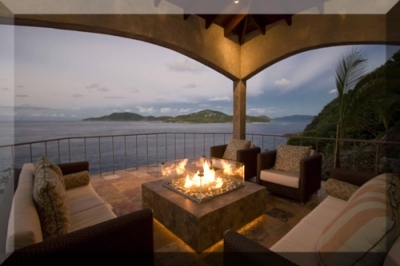 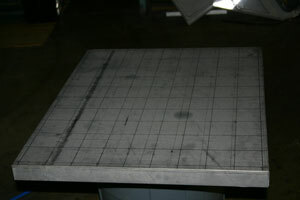 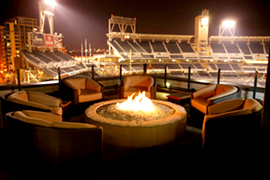 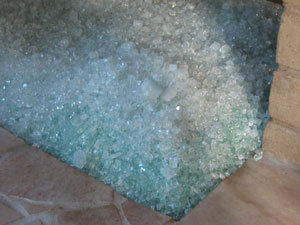 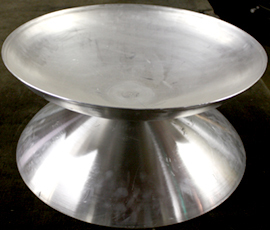 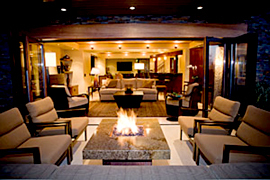 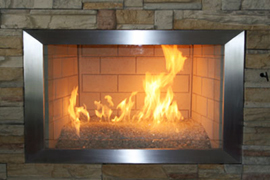 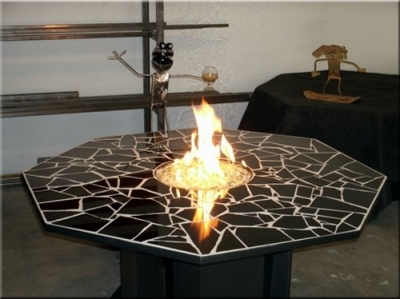 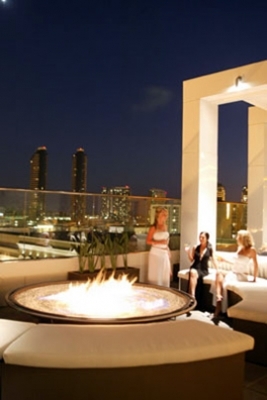 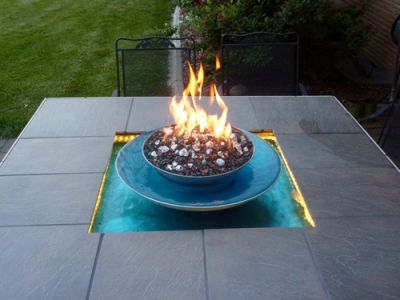 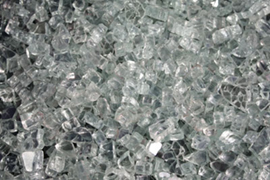 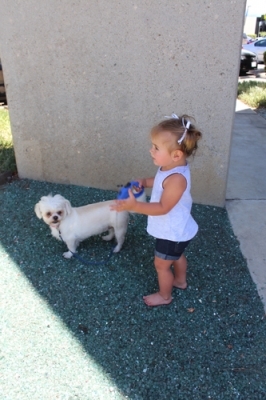 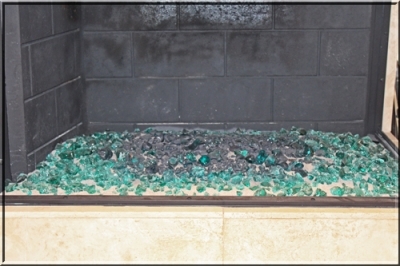 The pictures below are all Starfire fireglass in Newport Beach California. 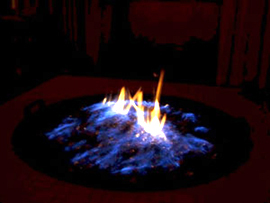 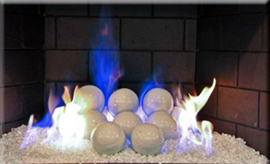 The five pictures below are a Starfire base with Ford Blue fireglass and V Blue Reflective fireglass and as you can see most fireplaces start very drab. 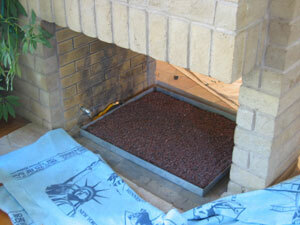 The logs are now gone below sand and lava rock are poured over the burner. 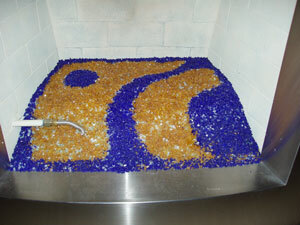 Below is a Clear base with Coral Orange Topping as a Topper. 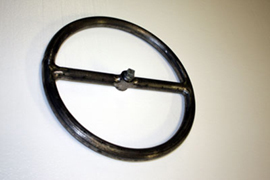 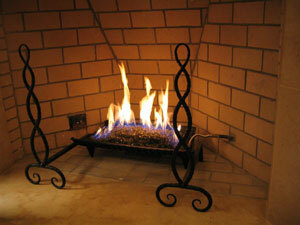 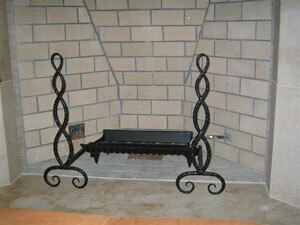 The 6 pictures below are of an antique coal basket using Bronze, Bronze Reflective and Starfire fireglass. 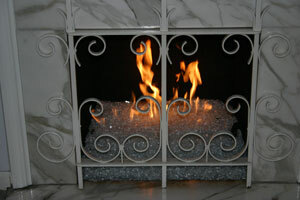 Again this antique coal basket is using Bronze, Bronze Reflective and Starfire fireglass. 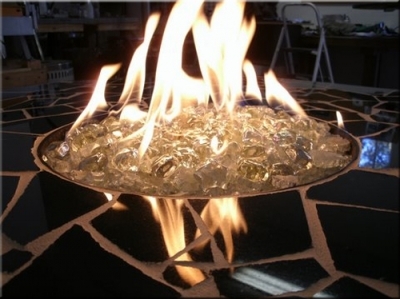 1/4 Clear,1/4 Starfire, 1/2 Clear, 1/2 Starfire, Amber Topping and Topper, Red Topping and Topper and Orange Light Topper Fireglass. 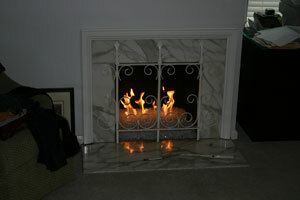 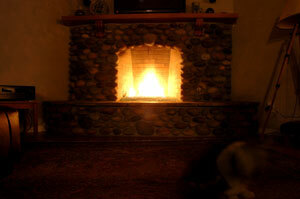 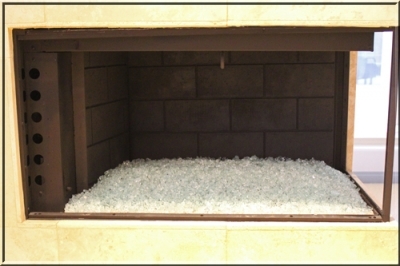 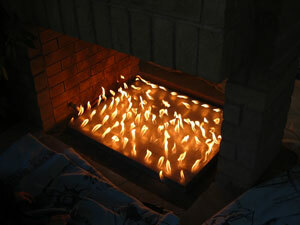 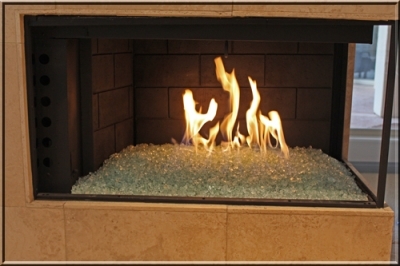 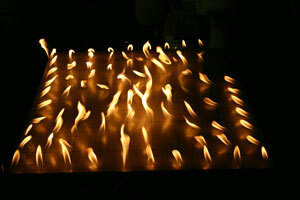 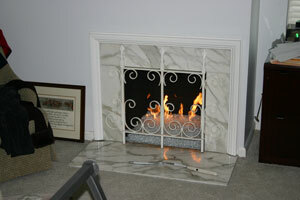 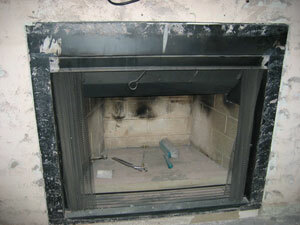 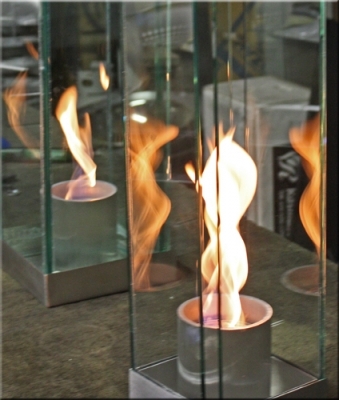 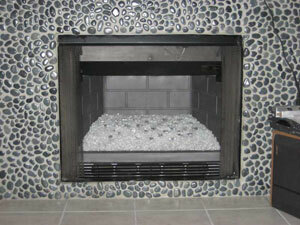 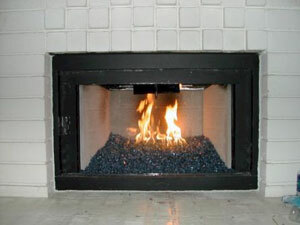 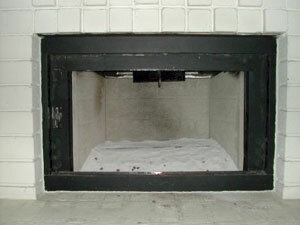 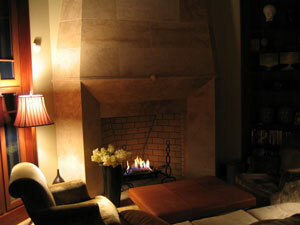 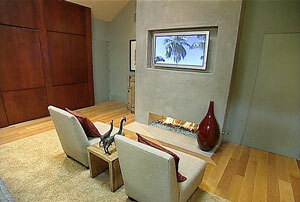 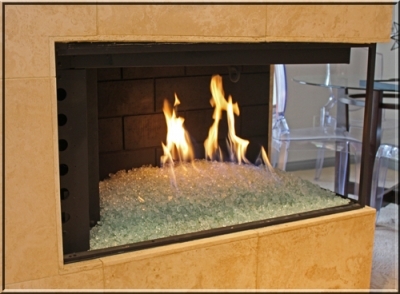 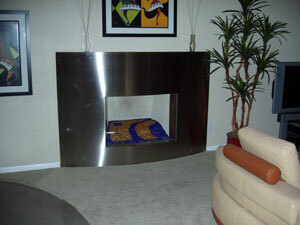 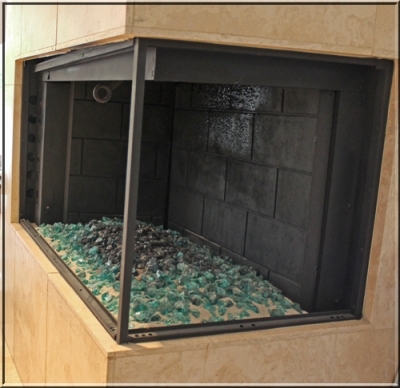 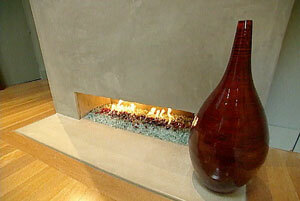 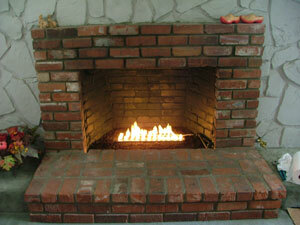 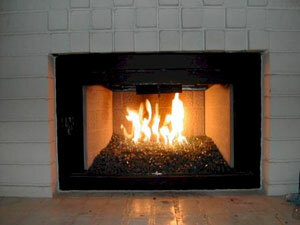 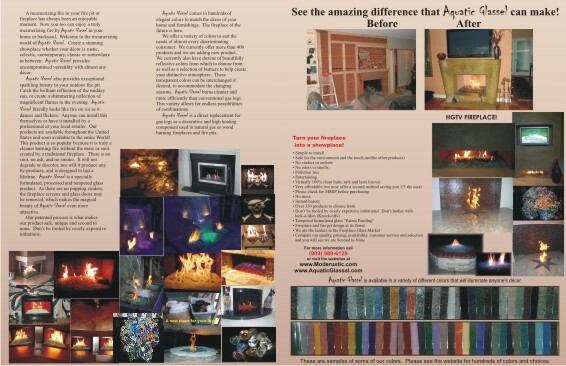 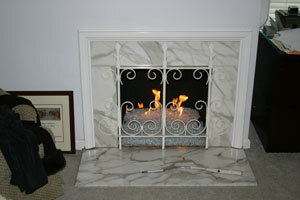 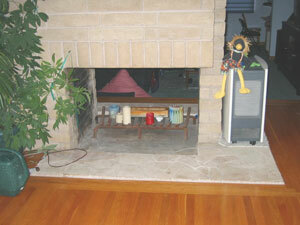 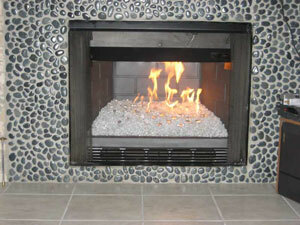 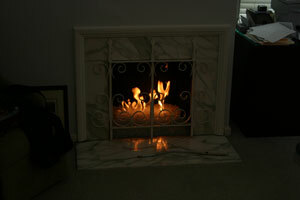 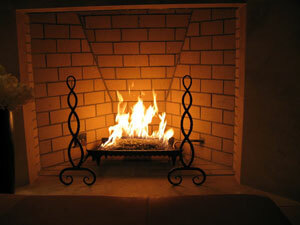 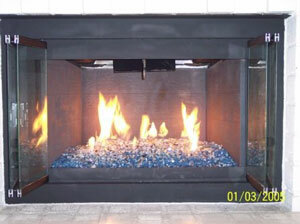 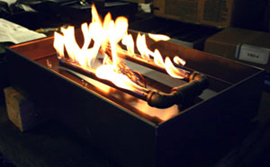 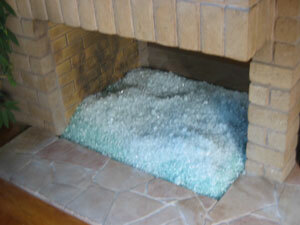 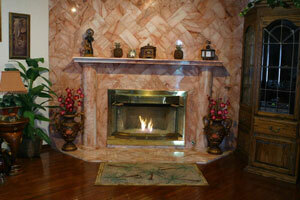 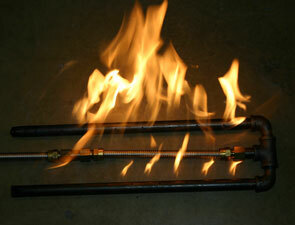 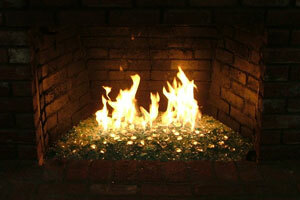 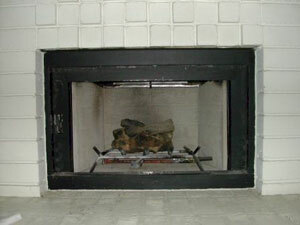 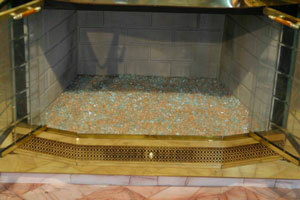 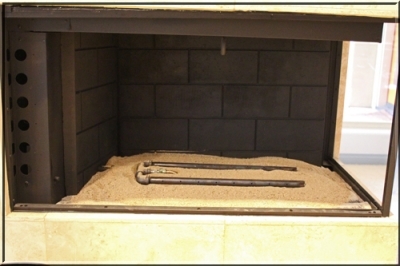 Here is a fireplace before and after with Clear fire glass added.